Core Support Hours 09.00-17.00 Weekdays GMT excluding UK public holidays. Verbal within 3 business hours with a target resolution of 24 business hours (telephone). Customer service resolution times:Target resolution written within 48 business hours or earlier (e-mail) all resolutions dependent on responses from exchanges and their domestic time-zones. Target resolution verbal within 24 business hours or earlier (telephone) with all resolutions dependent on responses from exchanges and their domestic time-zones. What quality assurance can you give for data you supply? Euromoney TRADEDATA recognises the critical importance of good quality data and has evolved a four stage quality assurance process built on fundamental principles: Training and education; Point of entry validation; Systematic auditing process; Data quality incentive scheme. Key to Euromoney TRADEDATA’s success is a community model of data assurance with a participative issue resolution process with clients. This involves automatic registration and tracking which is used to communicate and resolve issues supported by a detailed audit trail. What types of format can I receive your data in? Which format would you like it in? We can produce data files in any modern format including XML, JSON, CSV, flat or relational format. What different types of delivery methods can you offer? Typically data files are delivered by SFTP, encrypted and securely transmitted. We can push to client SFTP servers or offer our own primary and secondary SFTP servers for clients to pull from. Our online reference data services are of course available 24/7 at your convenience. What back up and disaster recovery plans do you operate? The company operates both local failover and offsite data storage protocols. Dual line internet connectivity and UPS clusters are deployed for strategic contingency across our local IT infrastructure. Websites and database related services are hosted offsite with an international hosting service provider with ISO 27001. The majority of staff have remote access connectivity to key data and production systems. What are your customer service hours for intraday services data support? For intraday services our customer service hours for data support are Monday to Friday 24/5. Customer support is available by email: support@euromoneytradedata.com. What are your customer service hours for intraday services IT support? For intraday services our customer service hours for IT support are Monday to Sunday 24/7. 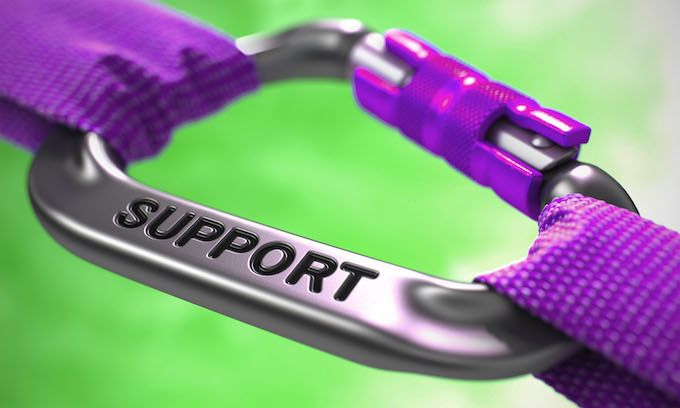 Customer support is available by email: support@euromoneytradedata.com. How can you support customer operations across different time zones? Many of our data production processes are fully automated and require intervention only on an exception basis. For Intraday customers, our international data teams work 24/5 and our IT teams work 24/7. What is your technology base? We use .NET, Stack and SQL for our key database management and production operations. How do you manage change control processes? Any change request that involves IT development is submitted to and collated in a central clearing application. A hierarchical methodology reviews, evaluates, approves, prioritises, resources, monitors and controls all change requests submitted. In a development environment all projects flow through a shared source code repository and are subject to peer group review prior to entering into user acceptance testing and production release. How long does it take a data feed to be set up from an initial enquiry? As each client requirement is different, so is each implementation for that client. The key to assuring quality in data delivery is getting the file specification(s) correct and so it can take a number of weeks to initially refine the specification. Once agreed this then moves to test file production for user acceptance testing and further iteration as needed. Typically a complex and fully loaded feed can take up to three months from enquiry to go live in a client's environment. Why should I use Euromoney TRADEDATA when I can access most of the information I need online? The most compelling reason is time and money. We provide a global aggregation service for the world's exchange traded and OTC cleared derivatives so that means we have multiple relationships and connections which you can avoid. Furthermore, we operate a community based data cleansing model where the majority of firms in ETD and OTC use our data day in, day out. How am I allowed to use your data? We offer a non-exclusive and non-transferable licence for the use of the data we supply. Where required, additional licensing may be needed for third party vendor data which is supplied within our data files. We offer four main license types: Site; Global; Enterprise and Bureau. The difference between these licences reflect whether a specific application is declared to use our data either at a single location or around the world, or whether the data is used anywhere within an organisation and in any application, or whether the data is supplied for onward use by end-user clients via a service provider. How quickly do you respond to a client query? We pride ourselves on achieving a high level of customer satisfaction and excellent customer service. We have refined the issue resolution process internally so that every issue raised by telephone, email or fax is given a unique reference number and allocated to a specific individual to resolve. The process is tracked and reported automatically to continually improve the product and the support we provide to our customers. We can offer Service Level Agreements for larger value contracts. Our customer service response times are: Written within 6 business hours with a target resolution of 48 Business hours (e-mail/fax); Verbal within 3 business hours with a target resolution of 24 business hours (telephone). Our customer service resolution times are: Target resolution written within 48 business hours or earlier (e-mail/fax) all resolutions dependent on responses from exchanges and their domestic time-zones; Target resolution verbal within 24 business hours or earlier (telephone) with all resolutions dependent on responses from exchanges and their domestic time-zones. How often do you review your exchange coverage? Our longstanding USP has been to cover all exchanges that trade futures and options and which now includes building out an increasing number of OTC clearing exchanges. The growth in contract listing and in exchanges has been so significant over the past few years that we are now rationalising key exchange and content coverage based on client demand. This is to avoid adding cost to the business in manual data collection resources which we would have to pass on in higher prices to our customers at a time when budgets are already under extreme pressure. How often do you review your reference data coverage? We review coverage based primarily on customer demand. Operational reviews are carried out regularly and when issues are highlighted to ensure our data is fir for purpose. We are always open to any sensible requests for data that we do not carry. Is there a delay in receiving exchange derivative traded series identifiers? We add new contracts to our database as soon as we receive notification and the corresponding contract specification from an Exchange of the new listing. Typically this is weeks in advance of the trading start date of a contract but can be less dependent upon when we receive the necessary information from an Exchange. Market Data Vendors such as Reuters and Bloomberg set-up contracts differently to the process described for Euromoney TRADEDATA as those vendors are more reliant on exchange feeds and as such, new contracts may become available much closer to the time or on the first day of when a contract becomes available to trade. Traded series Reuters and Bloomberg support and maintenance is offered on the basis of the Reuters DataScope Select (DSS) feed and Bloomberg Data Licence (BDL) feed both of which we receive on a daily basis, the latter for clients where a TPPA (Third Party Processing Agent) agreement is in place with Bloomberg. Each day a process runs to create root level symbols from the traded series feeds which are then matched against the mappings we have established. For new or amended contracts which require mapping, the data becomes available in client feeds in the next business day delivery. Any new traded series listed either as a result of an extension in tradable contract months or extension of strike price ranges for existing contract months, associated with a previously established root level mapping, is automatically provided in client feeds on the same business day as received by us.